Just a few hundred years ago, thousands of sea otters peppered the coast of California, dwarfing the current population of less than 3000 animals. A host of human impacts are to blame for keeping otters near the edge of extinction today—loss of habitat, competition for food, diseases carried by our pets and oils spills, to name just a few. But only the fur trade could whittle the otter population down to the few dozen that were left in the early 1900s. When Russian explorer Vitus Bering stumbled upon a group of otters living on the Commander Islands in 1741, he probably didn’t anticipate that these animals would play a role in changing boundary lines on the world map and unhinging the fragile coastal ecosystem of North America. What was clear was the value of their pelts. With up to a million hairs per square inch, otter fur was prized for its softness and warmth—the warmest in the animal kingdom. For comparison, we only have about 100,000 hairs on our heads. 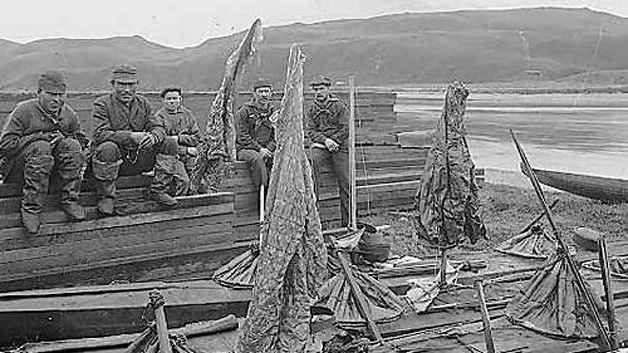 Until the late 19th century, Russian fur traders hop scotched through Alaska’s Aleutian Islands, killing most of the curious, slow-moving otters in their path and then shipping the furs off to profitable markets in back home in Russia and in China, Japan, and Europe. In the process, the hunters decimated a relative of the manatee called the Stellar’s sea cow (Hydrodamalis gigas). These slow-swimming kelp-eaters provided the on-the-go meals the hunters needed. But unlike sea otters, the sea cows didn’t survive the onslaught. The otter fur trade wiped them from existence. On down the coast the Russian hunters moved to present-day California. By the late 1700s, British and American hunters had begun harvesting otter pelts in California and selling them to trading outfits including Hudson’s Bay Company. 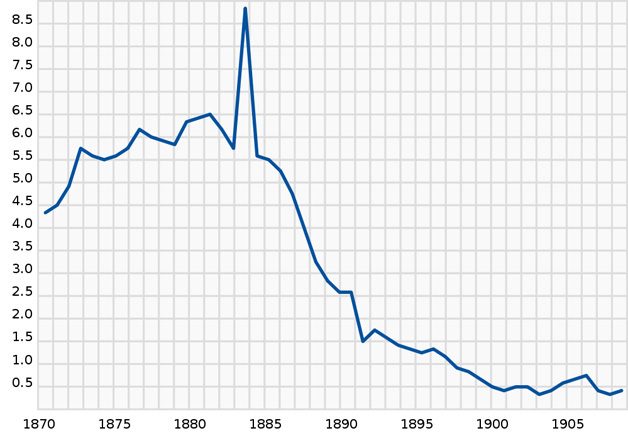 But as sea otters became less numerous along the coast of North America, Russia placed less value on the settlements it had established to support hunting, setting the stage for U.S. Secretary of State William Seward to buy the Alaska territory for $7.2 million in 1867. That works out to about two cents an acre. By the time conservationists got the International Fur Seal Treaty signed in 1911, which protected otters from hunting, scientists estimate that only 13 small groups of sea otters still survived on the wide arc stretching from Mexico to the Kamchatka Peninsula on Asia’s east coast. The only surviving colony south of Alaska was discovered in 1915 off Point Sur, California. There, a raft of 32 otters represented both the legacy of more than a century and a half of intense pursuit by European, American, and Russian hunters, and the future of this scrappy animal that even today is fighting to recover. The scientists who had found them figured that perhaps]s 50 animals survived on the central coast, meaning that every otter we see swimming today had an ancestor in that tiny group.